I have recently found a new website called Pinterest. It has tons and tons of ideas and will allow you to pin things on a virtual bulletin board. I have pinned lots and lots of ideas thinking 'oh someday I will make that'. Well over fall break I made several of the food items I had pinned. 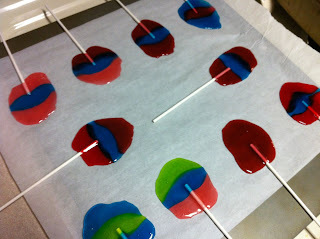 These are jolly rancher suckers. You just put 3 jolly ranchers of any flavors together on parchment paper and bake them about 6-8 minutes. Then put a stick in them and let them cool. My kids loved these! 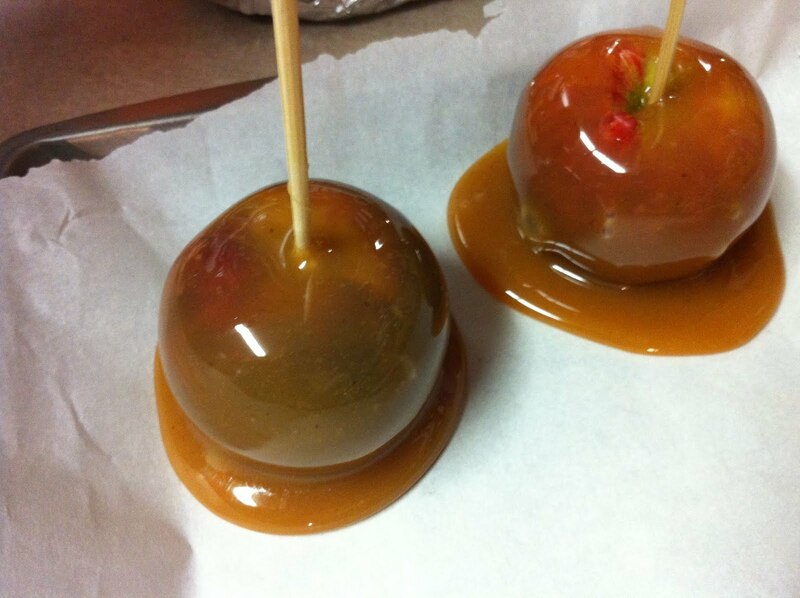 Then we tried homemade caramel apples. They were good but the caramel was too runny and didn't hold on the apple very well. If I let it cool a little so that it would conform to the apple then it hardened and tasted bad. This was chicken lasagne roll-ups. 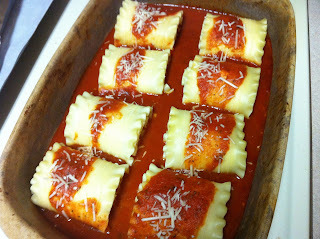 They were good but needed more sauce and cheese. Fairly easy too, well after I figured out how to cook the noodles in a big enough pan. 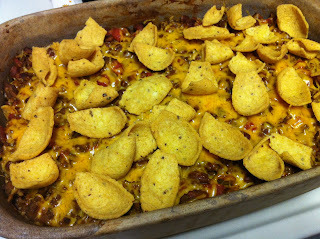 This was some sort of baked frito pie. It also has chips on the bottom layer in the pan. Those chips were soggy and the ones on top were too crunchy. The meat part was good but we probably won't make this again because of the soggy chips.